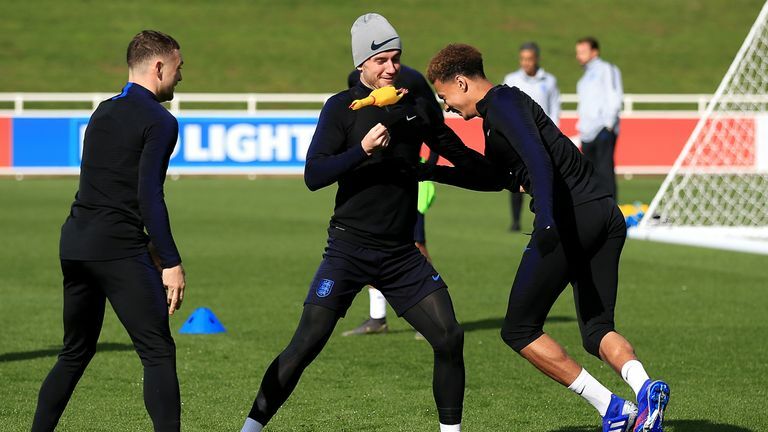 England warmed up for their clash with Montenegro by training with a rubber chicken – just like they did during their glorious run at last year’s World Cup. Gareth Southgate’s squad looked like a happy camp during training, with the reappearance of the rubber chicken the only fowl play on show at St George’s Park on Sunday. England used a rubber chicken during training ahead of their World Cup semi-final with Croatia in Russia last summer.